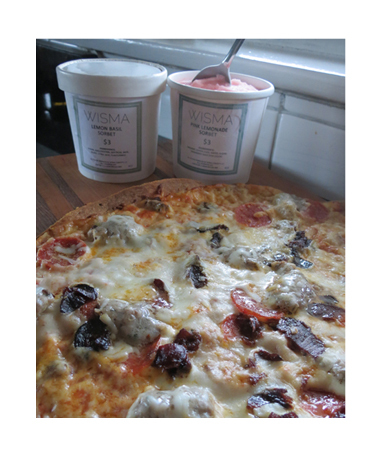 Wisma at the Chicago French Market (131 N. Clinton St., Chicago IL, 60661) now offers a greater selection of made and prepared frozen pizzas, ice cream and sorbets. Take home a white pizza ($10), chicken & pesto pizza ($12), veggie pizza ($12) or a 3 meat pizza ($14) for dining made easy. Dinner isn’t complete without dessert. Homemade ice creams are available daily with selections like: Vanilla, Chocolate Hazelnut, Amarena Cherry, and Mint Strawberry ($3-4) and homemade sorbets: Lemon Basil and Pink Lemonade ($3). August 24, 2013 is National Waffle Day. 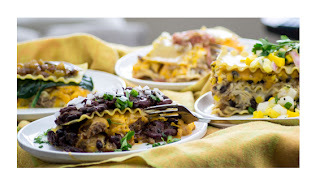 If you've been craving an exquisitely warm and delicious waffle, now is the time to head to Prairie Grass Cafe (601 Skokie Blvd., Northbrook, 847-205-4433) because this remarkable North Shore restaurant is celebrating National Waffle Day this weekend, August 24 and 25. It's well worth the drive to enjoy chef/owners Sarah Stegner and George Bumbaris, two of Chicago's most highly regarded culinary stars, preparing waffles, which are among their favorite treats. Prairie Grass Cafe's Peaches & Ice Cream Waffle features the tastiest local peaches from "Mick Klug Farm & Orchard," topped with a scoop of homemade Vanilla Bean Ice Cream ($11) while the Caramel Banana Waffle is a fluffy Belgium-style waffle with brûléed banana and salted caramel sauce ($10), both available on the Cafe's brunch menu. Did you know that the first waffles originated in Ancient Greece? The Greeks would cook flat cakes called "obelios" between two metal pans held over a fire. 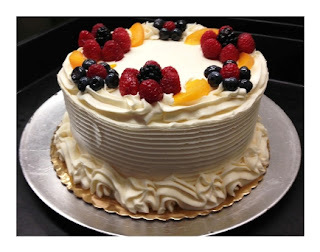 It only stands to reason that Prairie Grass Cafe wants you to celebrate with your family and friends. Waffles, as we've come to enjoy, are called American waffles and vary greatly from their Greek ancestors. Waffles in North America date back to 1869 when a man named Cornelius Swartwout received the first U.S. patent for a waffle iron. They were popularized in the United States during the 1964 New York World's Fair by Maurice Vermersch of Brussels, Belgium, and was named the Bel-Gem Waffle. Despite its name, the "Belgian waffle" doesn't exist in Belgium. There, a somewhat similar waffle is called the Brussels waffle. Brussels waffles in Belgium are hard and crisp on the outside as opposed to a traditional North American variety which uses a lighter batter. Call Prairie Grass Cafe (847-205-4433) to secure for a reservation for this weekend and celebrate! One might ask who thinks of these crazy food holidays but for fans of sponge cake, August 23 is cause to celebrate. Sponge cake is the perfect dessert to enjoy at the end of a warm summer day. 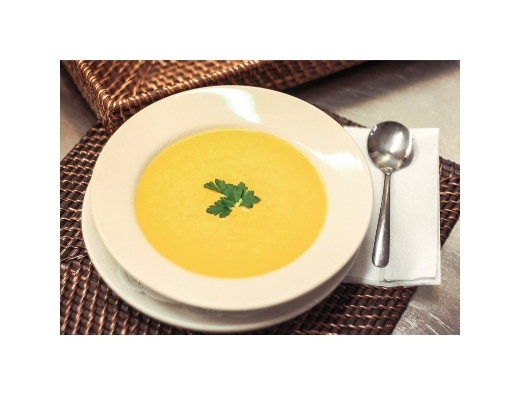 It is light and fluffy and has just enough sweetness to cleanse the palate after a meal. While traditional sponge cake recipes call for three very basic ingredients: sugar, eggs, and flour, perfecting the sponge cake is more difficult than one may imagine. According to Dobra Bielinsky, chef/partner of Chicago's Delightful Pastries, the key to the perfect sponge cake is in the technique. "The batter must be beaten thoroughly in order to create volume," she says. Did you know that sponge cake is actually one of the oldest and simplest forms of cake? Recipes for it date back as far as 1615. Variations on the theme of a cake lifted, partially or wholly, by trapped air in the batter exist in most places where European patisserie has spread, including the French Génoise, the Portuguese pão-de-ló, the Anglo-Jewish "plava" and the possibly ancestral Italian pan di Spagna ("Spanish bread"). Our favorite at Delightful Pastries is the Berry Decadent Sponge Cake ($5.25/slice; $42/8 inch, serving up to 12 people) - deliciously moist, tender, spongy, open-grained cake topped with butter cream and berries. To celebrate National Sponge Cake Day, stop by one of their three locations to enjoy a slice or take on home to share with the family. Delightful Pastries is located at the Chicago French Market (131 N. Clinton Ave., Chicago; 312-234-9644), Old Town (1710 N. Wells St., Chicago; 312-255-0724), or Jefferson Park (5927 W. Lawrence Ave., Chicago; 773-545-7215). 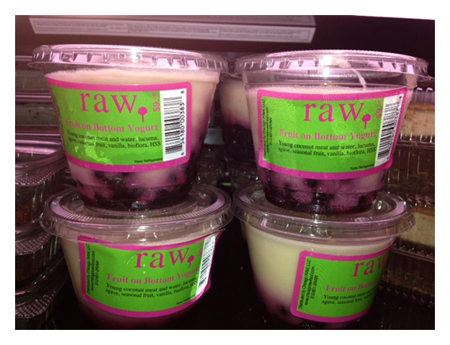 Raw’s Coconut Yogurt with fresh blueberries ($9) is the perfect treat this August. This delightful grab and go snack, that can be purchased at the Chicago French Market (131 N. Clinton St., Chicago IL, 60661), is free of a dairy, lactose, soy and gluten, perfect for vegans or customers with food allergies, and is made from young coconut meat. 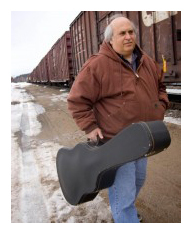 Folk musician Steve Justman will once again entertain lunchtime crowds this August. 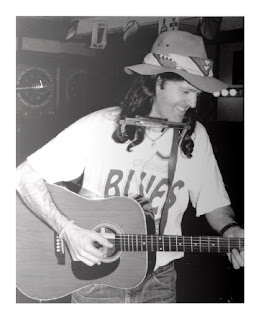 Justman, a Chicago area musician who specializes in Americana music, has performed in many venues across the Chicago. Don’t miss his return August 22 at the Chicago French Market (131 N. Clinton St., Chicago IL, 60661; 312-575-0306) from 4 p.m. to 7 p.m.
Art can be funny -- sometimes inadvertently -- but rarely do we see a show pointedly dedicated to funny art, especially at a coffee shop! But Art You Can Laugh At, hosted by resident comedian Nathyn Gibson at Ready Coffee's ORNOT Gallery (1562 N. Milwaukee Avenue, Chicago, 773-360-7041) is set to open August 21. Packed with local and regional comedians, this is one comedy show not to miss. Get READY to revel in silliness with the sole purpose of making us guffaw and hiccup, laugh until we cry, and maybe even roll on the floor with laughter. The showcase is complimentary to boot and ORNOT Gallery plans to host similar comedic events bi-weekly with the first slated from 7 p.m. to 9 p.m. Wednesday, August 21. The inaugural performance will feature comics Tyler Jackson, Reena Calm, Conor Delehanty, Odinaka Ezeokoli, Katie McVay and Adam Burke. No reservations are necessary. Seating is limited to first come with plenty of standing room. Be there or be square. Writer and comedian based out of Chicago doing many other things throughout the day that prevent my death. Tyler Jackson started out doing Stand Up in Louisville, KY, where he dived head-first into the scene and quickly started putting on shows and bringing in national headliners, trying to build up the independent comedy scene. He moved to Chicago in October and is working to do shows all over the place, in hopes that his stand up will get better and better! 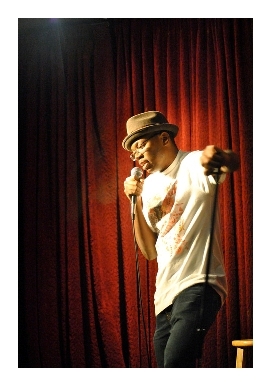 Tyler also is a co-producer for Black Star Comedy and host a mid-day open mic called the Late Late Breakfast. 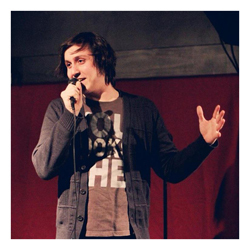 Conor Delehanty is an up and coming comic based out of Chicago, and he performs in rooms across the Midwest. Conor's act includes a tone of voice that is as engaging as this bio and a stage presence one woman after a show described as 'tall'. Conor's biggest accomplishment as a comic thus far has been taking full advantage of the free food in the Bob and Tom green room. Conor is a co-producer of Tuxedo Cat Comedy. I'm Odinaka. OD if you're a syllable conservationist. Try not to stare at my chest. One of my favorite quotes about comedy comes from Richard Pryor, "Search for the truth and the funny will come." I love that idea, easier said than done, but I still love it. I tell the story of my life as a mixed up son of Nigerian immigrants, born and raised in the American South but High Schooled in Nigeria, and try to make sense of it to myself and the world. I search for the truth in my life and in society and most of all I dig for the funny. In the words of Mr. Rogers, "Won't you be my neighbor." I'd like to leave you with another quote, this time from rapper and soulja boy protege, V.I.C., "Get silly, get silly." Comedian. Part-time cheesemonger. Terminally afraid. Half of Yell You Better. 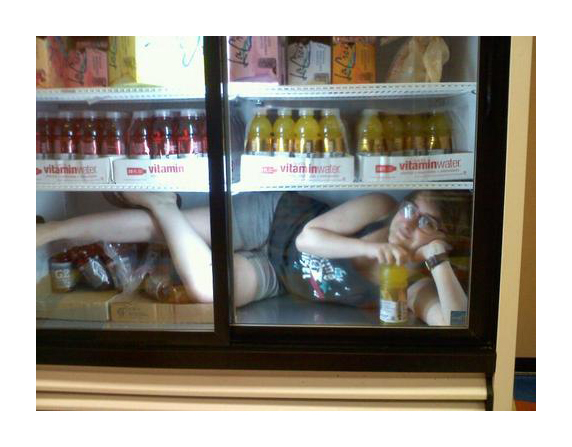 Katie McVay can only be described as... Katie McVay. There's not really anyone quite like her. You've heard comedians lament loneliness before, but never with the endearing combination of anger and positivity that Katie brings to the table. Katie's inability to be anything other than the tiny firecracker she is has resulted in a quick rise to the top of the Chicago stand-up scene. After only about 18 months of leaving audiences gobsmacked with her unique brand of being extremely comfortable in her own discomfort, Katie was asked to join the elite stand-up cast at Chicago Underground Comedy. Her advice web series "Yell You Better" quickly became a YouTube hit and garnered her fans all over this great nation. 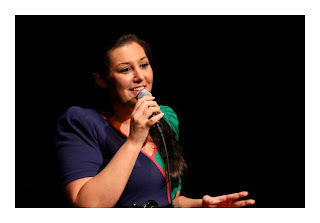 Sure, Katie has opened for big stars like Tom Papa, and sure, Katie has performed at comedy festivals like Just For Laughs, but that's not what's important. What's important is the way that you see more of yourself in Katie's admittedly damaged take on life than you'd care to admit. See Katie McVay live and let her yell you better. 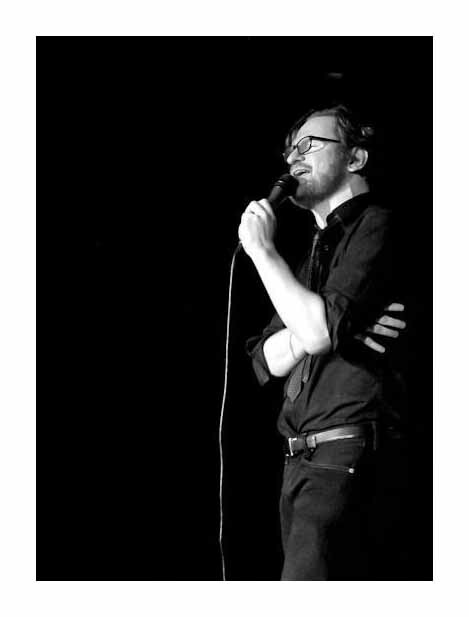 Originally from the UK, Adam Burke began performing stand-up after writing a piece on comedy for a Chicago magazine. Before long, Burke became a fixture at Midwestern shows and showcases. His absurdist, verbose comedy covers not only the vagaries of life in his adopted hometown of Chicago, but also the usefulness of mammoths, dogs who study law, and the importance of gangland grammar. He has appeared on the Bob and Tom show, WGN 720 AM radio, and the Benson Interruption Podcast, and was listed as one of the Top 20 Comedians in Chicago by Comedy.com. Adam has appeared at the Bridgetown Comedy Festival in Portland OR, and as part of the Just for Laughs Chicago festival for three years running. 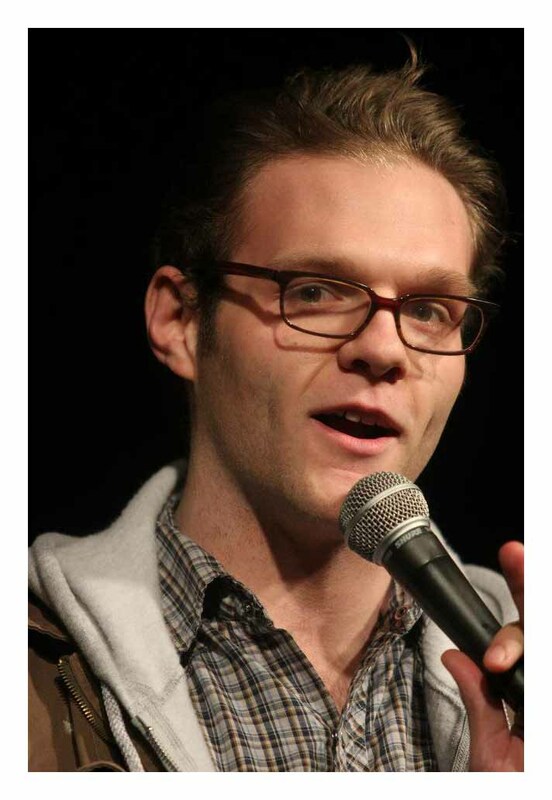 In addition, he has opened for a wide variety of comedians including Jeff Ross, Maria Bamford, Bo Burnham, Brendon Burns, and Jake Johannsen, and Marc Maron. 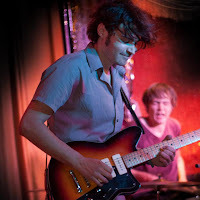 Adam also co-hosts the Cole's open mic and is a co-producer of Parlour Car. Reena Calm was made in Israel, raised near Boston, and is now thrilled to be a part of Chicago's amazing Comedy scene. She performs at venues such as The Laugh Factory, Jokes and Notes, The Second City, ComedySportz and SO many different bars. Her parents are proud. Reena has featured in the Chicago Women's Funny Festival, TBS Just For Laughs, and right now there's a hilarious festival going on in her pants. Reena currently produces and hosts the Three Dead Moose Open Mic on Sundays, 100 Proof Comedy on Mondays, and HooHA Comedy on Tuesdays. She also loves talking about herself in the third person. 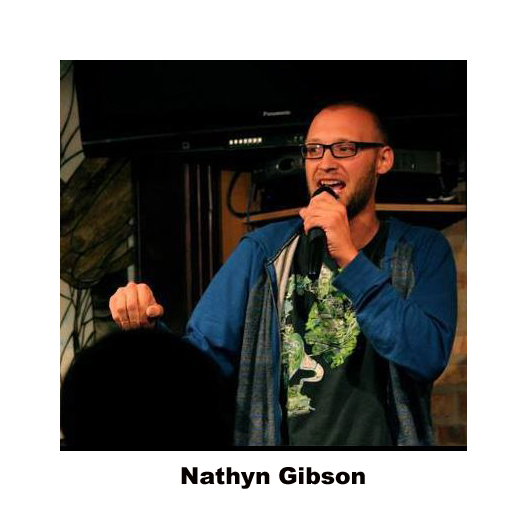 Nathyn Gibson is the host of the ORNOT Gallery's Comedy Showcase: Art You Can Laugh At. Nathyn moved to Chicago last summer to pursue comedy. He also co-produces a monthly showcase in Logan Square called Black Star Comedy and is a regular performer in the A Night of Comedy series in Crown Point, Indiana. "Chicago has an amazing comedy scene, and I want to be an outlet to show what this town has to offer," said Nathyn. Like "Art You Can Laugh At" on Facebook at www.facebook.com/artyoucanlaughat. The Facebook event can be found at www.facebook.com/events/1407343499481259. Like ORNOT Gallery on Facebook at www.facebook.com/ornotgallery and follow on Twitter at www.twitter.com/ornotgallery. 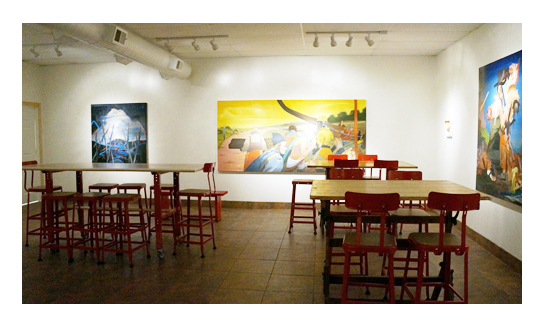 Interested artists should contact Cody at ornot@readycoffee.com. READY Coffee, located at 1562 N. Milwaukee Avenue in Chicago, is open from 7 a.m. to 11 p.m. every day. For more information, call (773) 360-7041 or visit the website at readycoffee.com, like them at www.facebook.com/readycoffee and follow them on Twitter @ReadyCoffee. Off to READY Coffee? Don't forget a yoga mat! Everyone's favorite Saturday morning destination just became even more irresistible. Beginning Saturday August 17, READY Coffee (1562 N. Milwaukee Ave., 773-360-7041) will be offering complimentary yoga classes. The ORNOT Gallery, located inside READY Coffee, will be transformed into a yoga studio each Saturday for 9 a.m. and 11 a.m. classes. Just bring a mat and READY Coffee will provide the rest. READY Coffee has teamed up with yoga instructor and READY customer Blair Rockoff of Rock Solid Health (2536 W. North Ave., 773-697-4372) to provide patrons with peace of mind, good health, happiness and a great cup of coffee. When READY Coffee owners Adam Banks and John Grbac set out to find the perfect Guru for READY's complimentary yoga classes, deciding on Rockoff was a no brainer. Rockoff's classes blend many styles of yoga to produce a class designed to challenge, entertain and provide personal discovery for each participant. Her vast knowledge of the art and her focus on developing her students while making personal connections deemed Rockoff a perfect fit. Rockoff began studying yoga in 2007. After trying many different yoga studios in both Chicago and California, she realized they were missing the "welcoming personal connection" that she desired. When she determined that owning her own studio and teaching classes was the best way to create her desired environment, she quickly made her dream a reality. A welcoming personal connection is not foreign to READY Coffee; in fact it is READY Coffee's mantra. READY Coffee prides itself on its ability to remain in tune with the wants, needs and price points of patrons in the Wicker Park area. READY Coffee regulars value the inviting atmosphere and reasonable prices. Make READY Coffee part of your Saturday routine with complimentary yoga. We recommend finishing the yoga filled morning with a much deserved Dinkles Donut and cup of READY Coffee or a custom made juice from the popular juicer stand. Oceanique Restaurant in Evanston, Illinois (505 Main Street, Evanston, IL; 847-864-3435) will be participating in the 2013 Julia Child Bash sponsored by Chicago Originals ( www.chicagooriginals.com), from August 15-31, celebrating the 101th birthday of the famed French cookbook author and television icon. During this celebration, Oceanique is honoring the memory of Julia Child with their Wild Maine Lobster entrée (with tropea onion, basil potatoes, and yuzu-saffron), priced at $24. 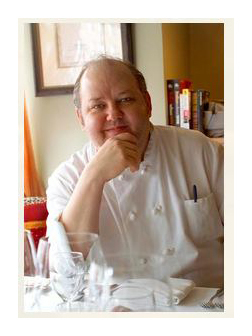 "Julia Child was very fond of lobsters," says Chef Mark Grosz. "On her TV show, The French Chef , she described them as 'unique and beautiful, with a marvelous taste and really just like nothing else.' She also said that lobster was a 'special gastronomic experience.' We consider Julia to be marvelous and like no one else, a person who made French gastronomy a special experience for millions of Americans. That's why lobster is the cornerstone of our Julia Child 101th birthday celebration. 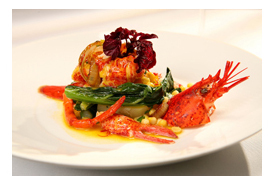 We call our lobster entrée, simply, 'Wild Maine Lobster.' The dish includes tropea onion, basil potatoes and yuzu-saffron, and is priced at $24. 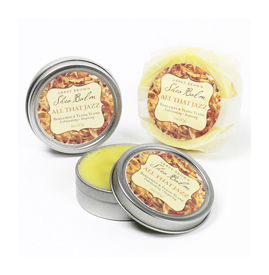 We think Julia would have been very pleased with our lobster rendition." With roots in classic French culinary technique, Oceanique has evolved into a Contemporary Global restaurant. "It's an evolution of which we believe Julia, as a food adventurer, would have heartily approved," said Grosz. 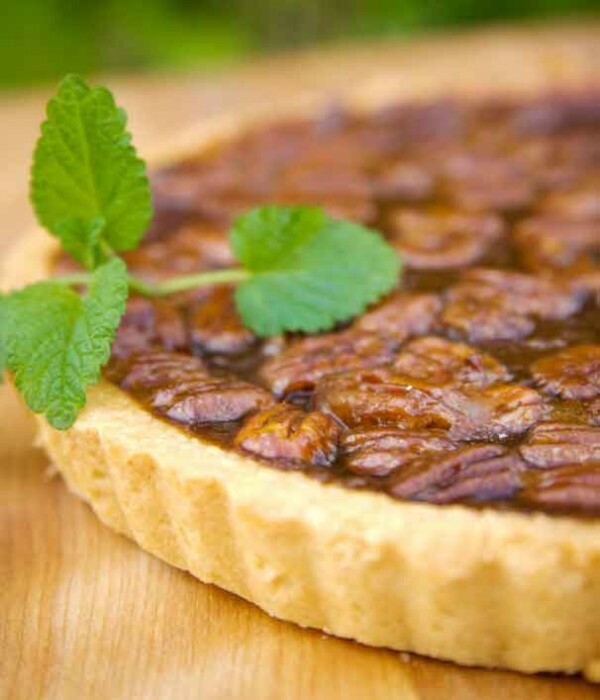 "We continue to use the freshest, locally available ingredients, clearly in the French tradition, and we use classic French techniques to bring out the wonderful flavor of the ingredients. What has changed at Oceanique, over the years, is our introduction of lighter ingredients into the menu and our greater use of fresh herbs, both of which reflect today's contemporary preferences. We've also been inspired by our global culinary travels and so you'll find ingredients from around the world." The highly acclaimed Oceanique has been voted the best seafood restaurant in the Chicago area by the Zagat Guide since 1993 and has earned the prestigious "Best Of" Award of Excellence from Wine Spectator every year since 1994. Wine Spectator has declared Oceanique as having one of the top 750 wine lists in the world. Oceanique recently celebrated its 25th anniversary by undergoing a complete re-design. The new, contemporary look is light, airy and comfortable, with new lighting that brings out the beauty of Chef Grosz's superb cuisine. Oceanique's ambiance remains relaxed and hospitable, making it the perfect setting for food and wine lovers. 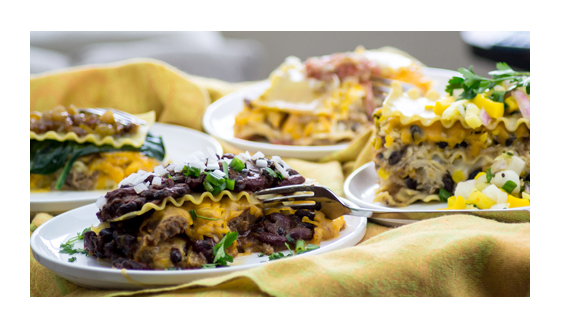 Additional changes include a new bar and lounge menu featuring shareable small plates. Oceanique, located at 505 Main Street in Evanston, Illinois, serves dinner from 5:30 p.m. to 9:30 p.m., Monday-Thursday and from 5:30 p.m. to 10 p.m. on Friday and Saturday. The restaurant is closed on Sundays. For more information or to make reservations, please contact Oceanique at 847-864-3435 or visit the website at www.oceanique.com. 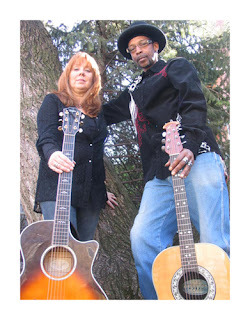 Don’t miss well known Chicago-native singing duo, Maverick & T this month. This duo, who both sing and play the guitar, offers a diverse array of songs. Enjoy classic rock and soul favorites in addition to some new, original compositions. Come enjoy their lunch hour concert at The Chicago French Market (131 N. Clinton St., Chicago IL, 60661; 312-575-0306), it’s the perfect musical escape for any hectic workday. Coventry Jones, a Dylan-Esque singer and songwriter from Milwaukee, WI, combines critically acclaimed vocals with many different styles of music. His song list, which expands across a large variety of genres, is best known for its Delta Blues, Folk, and Celtic influences. Catch this talented artist from 4 p.m. to 7 p.m. Thursday, August 8 at the Chicago French Market (131 N. Clinton St., Chicago IL, 60661; 312-575-0306). 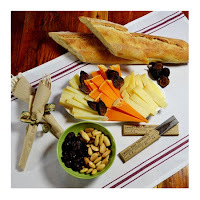 Pastoral Artisan Cheese, Bread & Wine at the Chicago French Market (131 N. Clinton St., Chicago IL, 60661) will be hosting its monthly wine tasting. 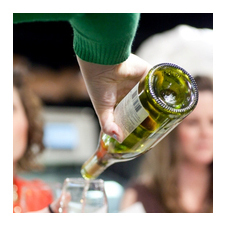 Taste wines from different vineyards and find new favorites.